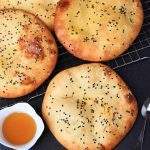 Khaliat Nahal or the Honey Comb Bun is a common Middle Eastern confectionery which is typically filled and then glazed with sweet syrup. 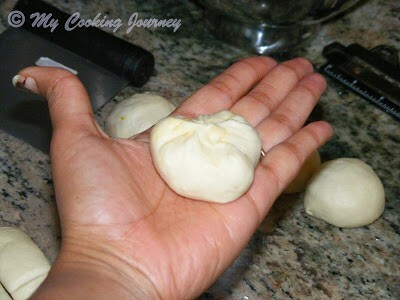 There are savory versions of the bun as well (which was what I made). 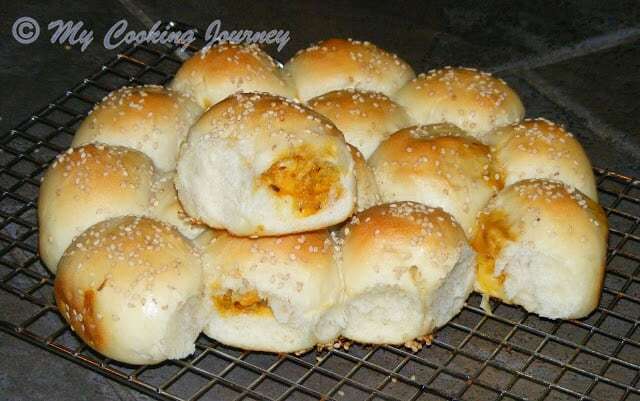 The recipe makes about 18 small buns that can be easily peeled off and eaten. 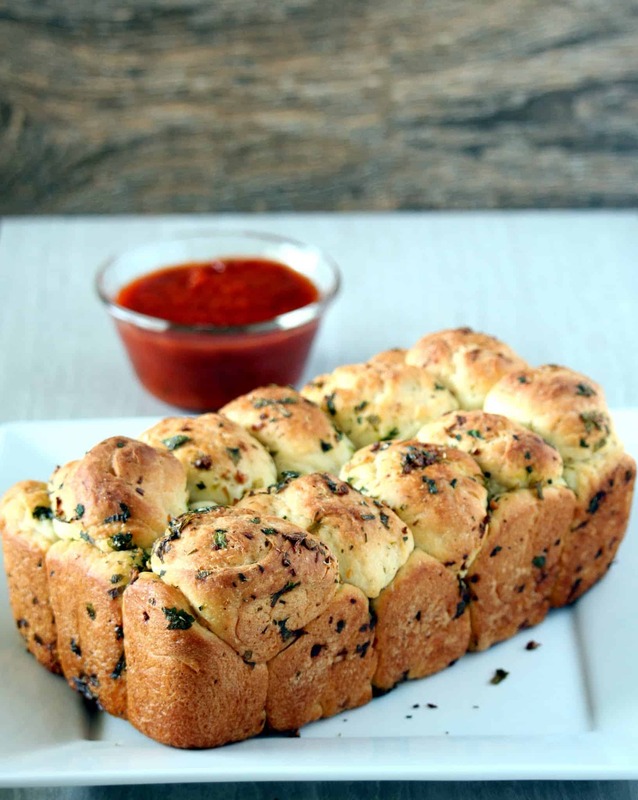 They were perfect for my kids because they really enjoyed peeling the buns off and eating. My 3 yr old who is generally a little picky about what he eats also loved eating this and in fact I was able to make this his dinner as well along with ours with a bowl of soup. 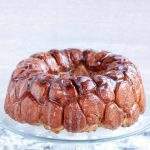 I baked Honey Comb bun as a part of We knead of bake bread for the month of September, but was not able to post it on time. 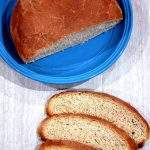 I am posting this recipe this month for my third day of blogging marathon under the category Kids delight – Nutritious food for sports enthusiasts. 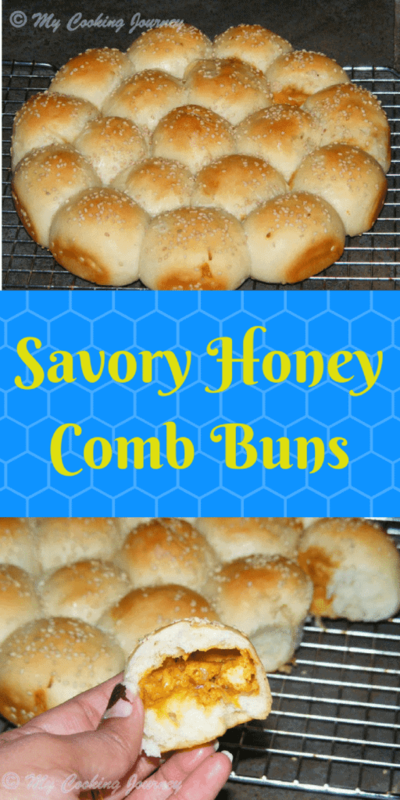 The reason I chose the Honey Comb Bun recipe for the theme is because my kids loved this. 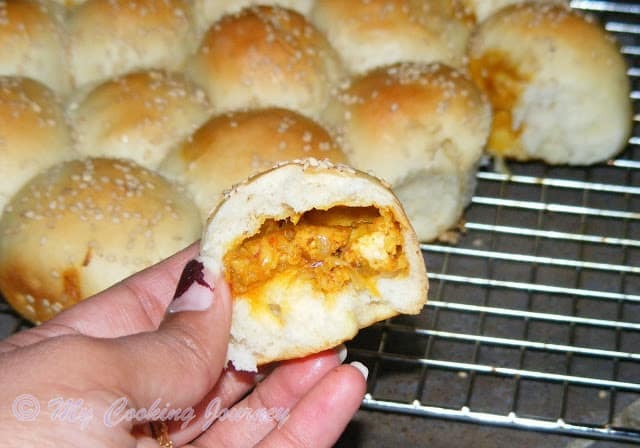 I made the savory version of the Honey Comb bun which was filled with paneer (cottage cheese). 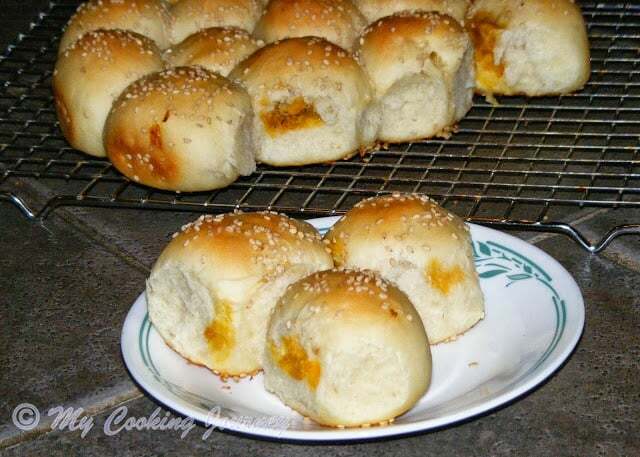 This bun kept with a bowl of hot soup worked great as our dinner. 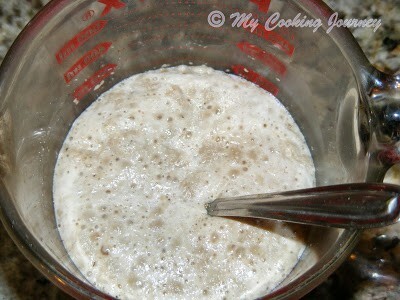 Combine the milk, sugar and yeast in a small bowl and keep it aside for 5 to 10 mins. In the bowl of a food processor or stand mixer, add 2 cups of flour, salt and melted butter. Make sure that the butter has cooled down a bit before adding it to the rest of the ingredients. Mix it a couple of times to blend. 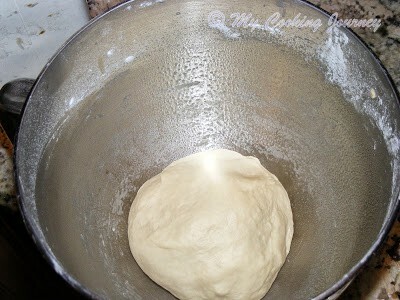 Now add the proofed yeast to the flour mixture and knead it well adding more flour (the remaining half a cup) until you get smooth and elastic dough which is not sticky. 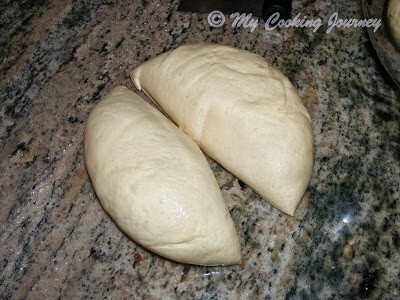 I used all the 2 ½ cups of flour to get the right consistency for my dough. 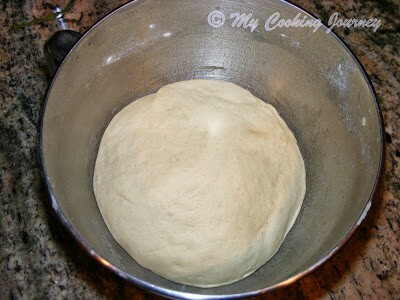 Shape the dough into a ball and place it in a well oiled bowl, turning it once to coat completely with oil. Cover and let it rise in a warm place until double in volume, for about an hour. Heat oil in a wide pan and add the cumin seeds. 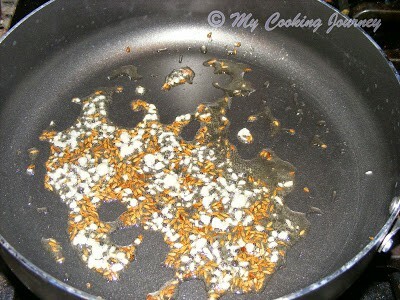 Let it fry for few seconds and then add the minced garlic. Fry it for a minute. Now add the onions and sauté until golden brown. Add all the spices and the salt. Mix well. 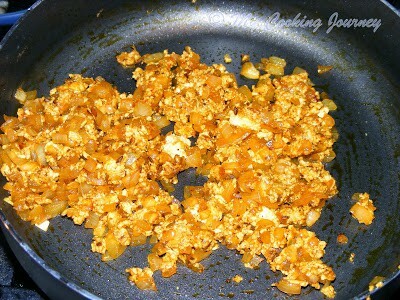 Now add the crumbled/grated paneer and mix well to combine. 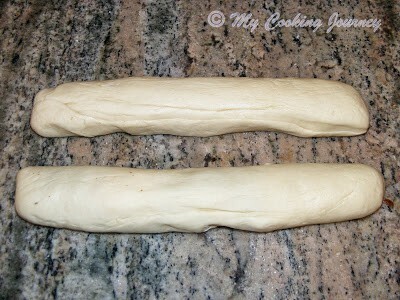 Once the dough has double in volume, drop it on to the work surface and divide the dough into two. With your palm, roll out each of the halves into a rope about 9 inches long. Now cut each rope into equal one inch pieces to get 18 pieces in all. Take each piece and flatten it in your palm. Now add about 1 tsp of filling into it. 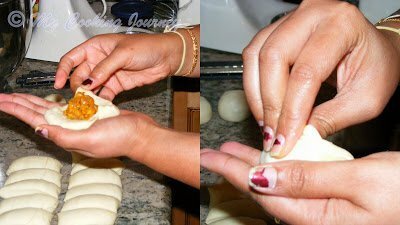 Pull up the sides and cover the filling. Pinch the seams tightly. If you have made kozhukattai (modak), this is more like that. Smoothen each of the filled piece into a round ball. Place these in a well oiled 9 inch or 10 inch round cake tin. Repeat the same with the remaining 17 pieces. When arranging, place the balls in a concentric circle to get the honey comb effect. 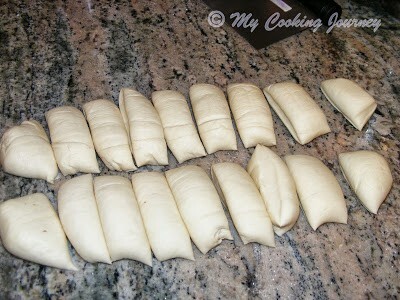 Cover with a towel and let it rise for about 30-40 mins. 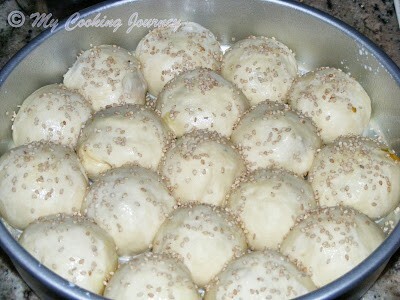 Brush the tops of the rolls with milk and sprinkle the sesame seeds over this. 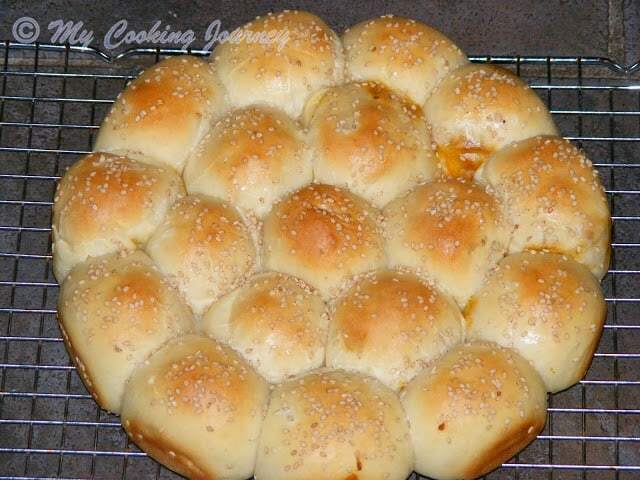 Bake the buns at 350 F for about 25 mins. Let it cool in the tin for about 5 mins and then cool it on a wire rack. 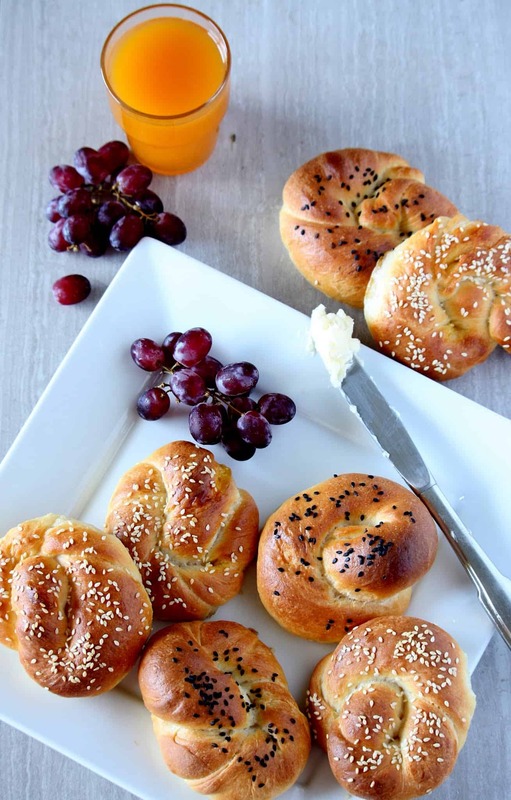 Serve Honey Comb Buns as a snack with tea/coffee/milk. 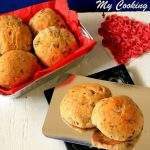 well explained recipe and buns are too delicious …. Oh my that looks seriously delicious!..so much work, but I am sure it was all worth it..
G'day These look delicious, true! 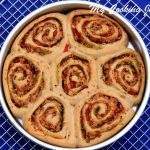 Based on your photo and recipe, they are now on my list to do! 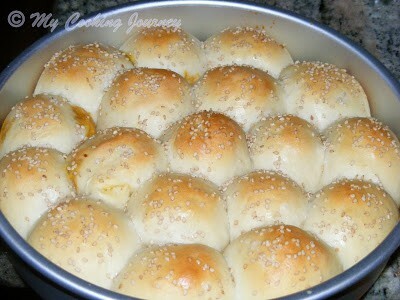 Am in love with ur savoury filling, those honey comb buns came out extremely prefect. I have a doubt.. Not wrt this recipe..This is the first time I will be using an oven.. When they say preheat it to say 220F what does this mean? I am lost when it comes to preheating.. For how long should we preheat? Also, after preheating, when we actually put stuff for baking, should we turn it off as its already preheated? Pls help me with this!!! 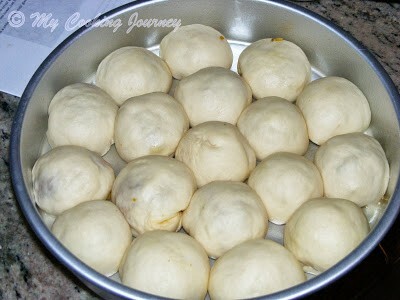 preheating means, the oven should be heated upto the required temperature before putting the stuff inside for baking. usually the oven beep when it comes to the required temperature and then you have to continue to leave it at that temperature until the baking is done. 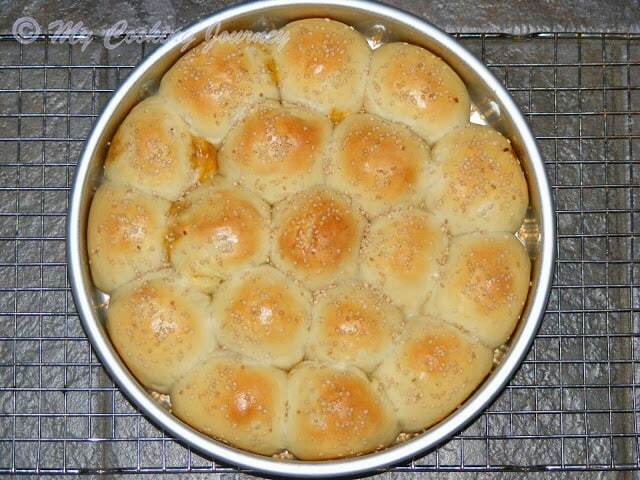 Perfectly made honey comb buns Sandhya.. That bread looks absolutely amazing. Love the paneer filling too. 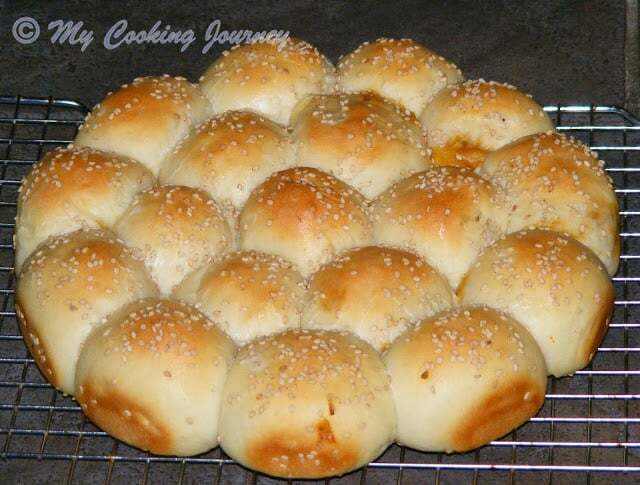 Buns look super cute and delicious!! 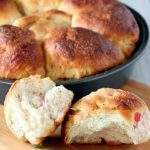 Hi thank you for you delicious recipe. 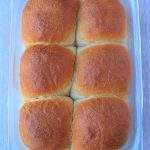 Actually my buns turn out very dry i baked them for 30 mins bcoz it was not looking red on the top .i followed evrey step as it is.Wtat could be the reason? 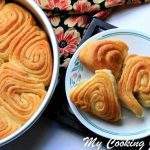 Actually my buns turn out very dry i baked them for 30 mins bcoz it was not looking red on the top .i followed every step as it is.What could be the reason? This sounds yummy! That filling though! I see why your kids love these!